IP finance: Cloud-computing: what will be the fate of IP? 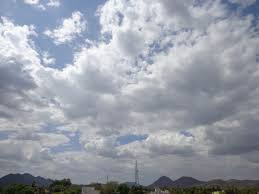 Back on 18 April 2015 The Economist published an instructive summary, “The cheap, convenient cloud”, describing the changes being wrought to the IT industry by cloud-computing services. The piece first identified the leaders in providing cloud services, with Amazon way ahead of Microsoft, IBM, Google and Salesforce. No real surprises here, except perhaps for the substantial lead that Amazon enjoys as a percentage of the overall market share, reported at nearly 30%. What was of greater interest for this blogger was the discussion that followed on the promise and the challenges facing various other actors in the cloud computing/IP space, namely (1) big users of IT services and hardware; (2) the providers of online computing; (iii) the legacy makers of IP hardware and software and (iv) purveyors of the software to the cloud-service providers. Some will win, some will lose and new faces will likely appear. Less certain is the role that IP will play. 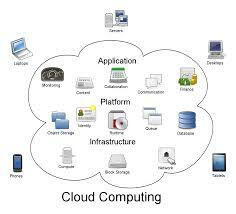 Thus large IT users can expect to benefit from reduced direct IT costs as bits of it increasingly migrate to the cloud. As for the software providers to such users, such as SAP, the challenge is two-fold. First, much of their code will have to be rewritten so that it can be run in the cloud environment. Secondly, they face the likelihood that their business model may have to change, from payment by the customer of a substantial, upfront license to modest recurrent subscription payments. Thirdly, an even bigger challenge awaits traditional hardware computer manufacturers, such as HP and Dell. Their problem is also twofold: sales of hardware to IT users will decline as they forego maintenance of an internal IT system in favour of relying on cloud-based services and infrastructure and, while the cloud providers themselves will certainly need substantial computing power to operate their systems, there is a real likelihood that such servers will be designed by the providers themselves and made by lower-cost contract manufacturers, rather than purchased from more expensive brand-name server manufacturers. Fourthly, the software to be used on these contract manufacture-based servers is increasingly of the open source type, where no licence fees are paid. How might IP fit into all of this as potential commercial drivers? For several decades, management scholars have pondered the extent to which an entity’s IP can be said to appropriate value for its owners. Broadly speaking, unless the IP rights are strong and inclusive, i.e., they constitute a strong appropriability regime, the likelihood is that IP rights will only contribute to value to the extent that they are successfully accompanied by such so-called complementary assets as efficient distribution channels, market share, network effects or favourable manufacturing costs. Whether a powerful brand is to be viewed as constituting a strong IP appropriability regime or rather a valuable complementary asset is open to debate. With respect to the IT space, having seen the inability of both Microsoft and Intel to repeat their success in the PC market (and even here branding and network effects helped secure market share), one is hard-pressed to find many current examples of arguably strong IP appropriability regimes. The move to the cloud only serves to extend this trend. The servers that will power the cloud service providers will be as likely to be the result of made-to-request contract manufacture as mass purchase (even at a discount) of branded devices. More and more software is available on an open-source basis, rendering proprietary copyright decreasingly relevant as a potential basis for appropriating value for its owner. That said, branding and goodwill may play an ever-increasing role, at least for some parts of the cloud computing ecosystem. Does the current dominance of Amazon.com, Microsoft, IBM and Google as cloud service providers represent merely their ability to marshal computing heft, or does the strength of these brands assist their owners in gaining the trust of users to migrate? Will at least some proprietary software purveyors succeed, owing in part to the strength of their brand as they seek to extend their products to the cloud? Whatever the ultimate result to these questions, the potential for strong IP appropriability regimes with respect to the cloud and its services does not look to this blogger as overly promising. I think what the management scholars overlook is what I term "half-life" of knowledge, the period when half of what you know becomes obsolete. From this point of view IP, especially copyright over code (which is essentially functional claiming) should be interpreted like a wasting asset. Thus frozen IP in chips might last a couple of IT generations (10 years) whereas UX rapidly are rapidly cloned and no differentiation in a matter of weeks as me-too clones follow.